“I don’t think things can get any worse than they are now” – Egyptians on their country’s financial future. Inside Abu Mohamed’s fruit and vegetable shop on Cairo’s Qasr Al Aini Street, an electric fan attempts to stir the humid air as boxes of oranges moulder in the corner. A set of scales sit pristine, but untouched. No one passes by to choose from the pile of summer watermelons, now twice the price they were last year. His business, once limping from years of political upheaval, has slowed to a crawl. “Between 2011 and 2013, things were okay. Last year I was trading at about 50% of that. Now turnover is 25% of what it was,” he says. The financial pains felt by some in Egypt exist in contrast to the optimism of the banking sector. A recent report by First Abu Dhabi Bank praised economic reforms introduced by President Abdel Fattah El Sisi’s government – including devaluation of the Egyptian pound – that were required in order for the country to receive a $12bn IMF loan. The loan, given in November last year, was intended to rescue Egypt from a prolonged financial crisis that resulted in food shortages. 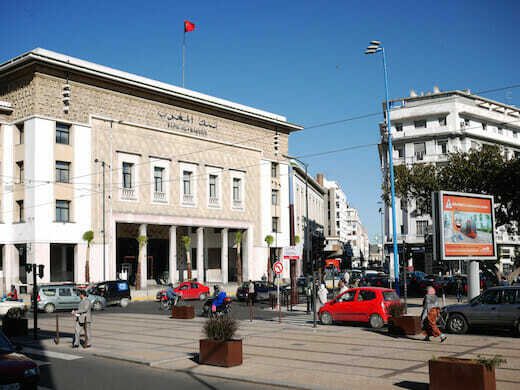 The report stated the bank is “cautiously optimistic about Egypt’s economic recovery”, due to the government’s decision to devalue the currency, uphold its promise to provide political stability following years of turmoil, “soften the effects” of reforms, and increase basic commodities for the country’s poorest. “Thus far [the government’s] tightrope walk has been relatively successful, thanks in part to the patience of Egypt’s citizens,” it added. For those working in Egypt’s financial sector, there are reasons to be cheerful. But for the average Egyptian, there is cause for concern. Since the currency devaluation, the cost of living has skyrocketed while few wages have risen enough to cope with rising prices and inflation. The government has overhauled state provisions in an unpopular move many experts say was necessary. 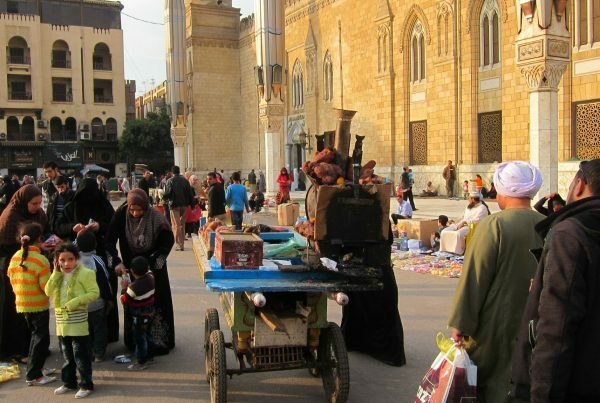 Though the country is showing signs of economic recovery, there are few guarantees this newfound capital will be enjoyed by average Egyptians, an estimated 27.8% of whom live in poverty. Egypt also began overhauling its bloated subsidy system in November 2016, beginning with fuel, and the government recently announced electricity prices will rise by as much as 40%. These latest subsidy cuts come after fuel prices rose a further 55% in June and butane cooking gas prices doubled. These economic growing pains are being felt by many in the middle and upper classes as well as those at the bottom. “People cannot afford new cars anymore, prices have doubled and salaries are the same. People prefer to buy used cars nowadays as they’re cheaper,” said Hani Youssef, a car dealer in the wealthy Heliopolis neighbourhood. The reforms follow an extremely difficult year for Egypt. In 2016, the country weathered an import crisis that saw a shortage of sugar and many basic goods, rising prices, and a ballooning black market in currency that led to exchange rates as high as E£18 to the dollar. Tourism, a vital pillar of the economy, is yet to recover to pre-Arab Uprisings levels. 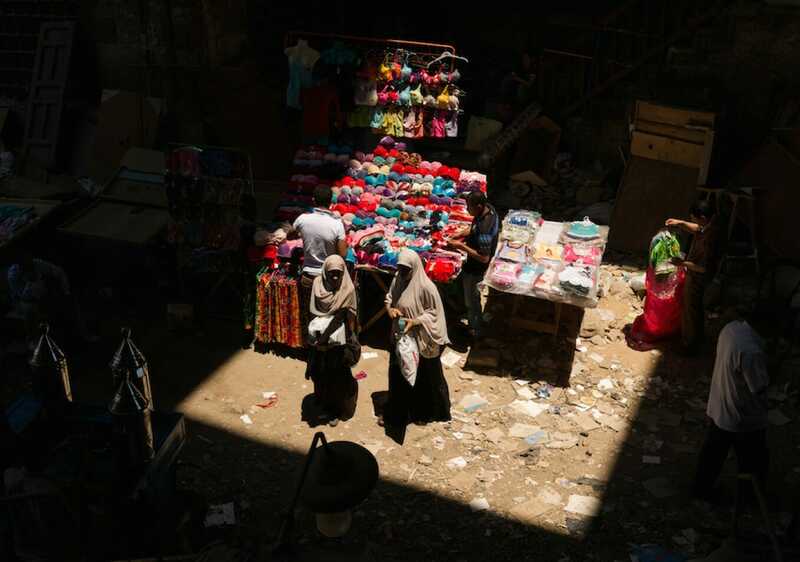 The intervening five years saw political instability dampen Egypt’s economy, notably, the period that followed the 2013 counter-revolution that brought El Sisi into office. By 2016, Egypt faced a full-blown financial crisis, necessitating the IMF loan. Receiving all three installments, however, requires Egypt to continue making changes, including unpopular subsidy cuts. 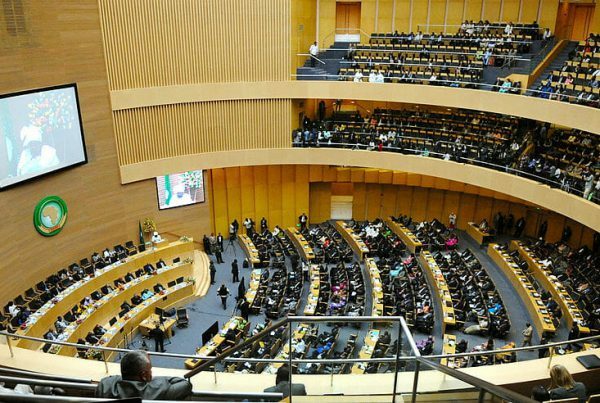 For its part, the government recently claimed that $57bn has entered the country’s banks since November 2016. 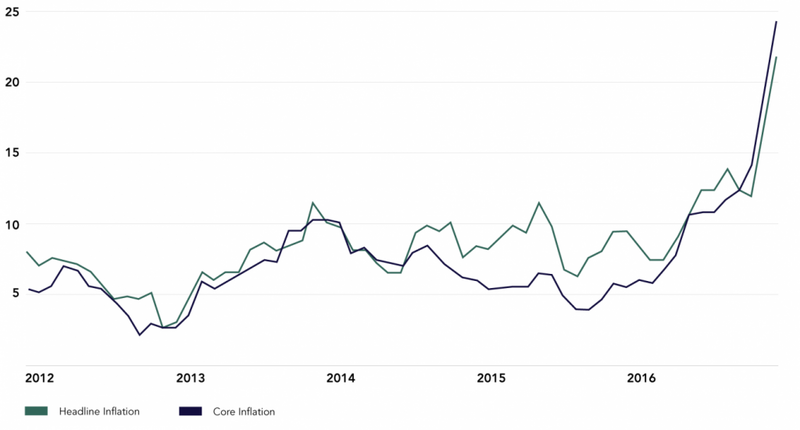 But inflation continues to increase, with analysts such as The National’s Patrick Werr arguing the Egyptian pound remains overvalued and that “a new currency crunch may be inevitable in the coming few weeks”. Perhaps in part to stifle prospective unrest, El Sisi also ordered the next annual budget to include a E£75bn “social safety net”, including extra food rations and increased pensions. According to Kaldas, cuts to previous sweeping subsidies were accompanied by increased efforts to means test the population, no small feat in a country of 93m people. “A huge portion of the economy is off the books and many of the poor do not have incomes reported to the government, which complicates the state’s ability to determine need,” he said. However, sustained economic growth is impossible without countering Egypt’s endemic corruption problem. The Arab world’s most populous nation ranked 108 out of 176 on Transparency International’s 2016 Corruption Perception Index – a sizeable leap from its 2015 ranking of 88. Faced with insurmountable barriers to social mobility, many Egyptians feel increasingly desperate: Last October, a taxi driver in Alexandria self-immolated in protest at rising living costs. Though cries of “bread and freedom” brought thousands of Egyptians to Cairo’s Tahrir Square in their revolt against the Mubarak government in 2011, limits on free expression mean few are keen to openly criticise the government’s economic policies just yet. At an electrical shop in the upscale, central Zamalek neighbourhood, the man behind the counter declines to give his name and shrugs wearily when asked how business has been. Standing next to untouched boxes of electric razors and hair straighteners, a collection of clocks mark the passing moments as he stares into a shop devoid of customers.